Music has been a great part of everybody’s life because of its ability to soothe one’s emotions and releases some pressures of daily life. It is also a good way to express yourself in ways that you could not with just the normal speech. Music as well, boosts up your confidence and energizes one to end the day right. Truly, music has been the best partner for people in different walks of life, may he be a teacher, an employee, a vendor or a simple housewife or student. Everywhere, we can see people addicted to listening to music while working, driving, doing chores or even just for killing boredom. These people have geared themselves on using a music-streaming service so that they can conveniently listen to their playlists anywhere and anytime they want. Have you tried it yourself? One good application to enhance your music experience is the Pandora Internet Radio. It is a free streaming service that allows you to create “radio” stations based on the artist or song that you like. It will help you discover more song and artists because Pandora will personalize the songs for you based on what songs you rate. For example, once you have indicated a song or artist, commonly known as a “seed” in Pandora, it will eventually gather songs with similar qualities just to give you options you choose from, or it simply analyzes your chosen song content and subsequently play music with the same characteristics. The Pandora application has a great and sleeking appearance, thus, it will fit into everybody’s way oh how to customize their playlists. What can be some of the Pandora radio tips that will make it more worthwhile to use? One good tip is to start a station from a song for you to get better results. This is better than by generating one based on an artist or a genre. Secondly, have you tried clicking on the “I’m tired of this Track” button? Well, if you are tired of listening to the same tracks on your playlist, you can have Pandora remove a certain song temporarily from your playlist by clicking on the “I’m tired of this track” which can be found when you click on the arrow that is between the thumbs up and thumbs down icon. Lastly, make your playlists searchable by your friends. To do this, go over a station, hover over the options button and then select the station details. You can edit the description of your playlist before it would be added to the Pandora’s database which will in turn will become more recognizable to other listeners. 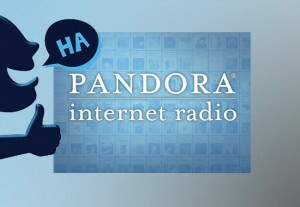 There are more tips and tricks when using Pandora. Be sure to make more familiar within this application so that you can play your music the best way you wanted. Skype For Ipad | What Is The Best Multimedia Player For Your Mac?